Programmed at : La Déambule (Brest) in 2009 ; Fish and Chips (Sotteville-lès-Rouen), Archifête (Petit-Couronne), Z’Arts Up (Béthune), Southampton (Alive and Ablaze) in 2010 ; Brighton Festival and Fish & Chips in 2011 ; Lens-Liévin for the opening of the Louvre-Lens Museum (2012). Programmed at : FAR du Pays de Morlaix, Fête dans Ville (Amiens) in 2010. 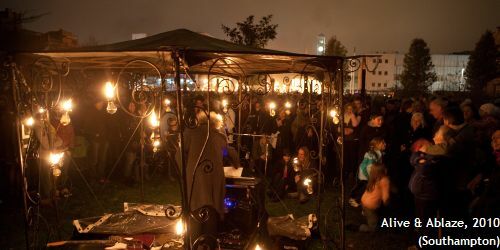 They say about themselves that “the flame, the transformation of a space and the human encounter” is their raison d’être. And this is exactly what their shows portray, especially Fire Installations, a show that has lightened up a few areas within ZEPA already. Created in 1988, the company, based in an old milk… in Saint-Christophe-du-Roc (Deux-Sèvres county, France) involves 10 artists creating from three elements (fire, water and air), lots of metal, machines ; music sometimes, human relationship always. 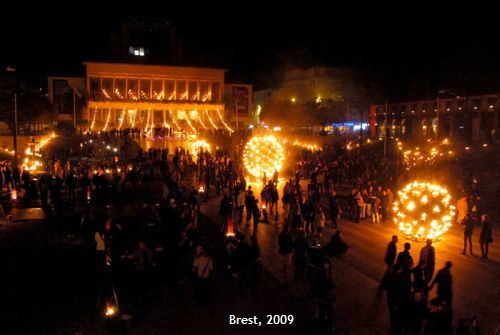 Because in every place it is set, the Fire Installations is a new show, according to the place and its people. 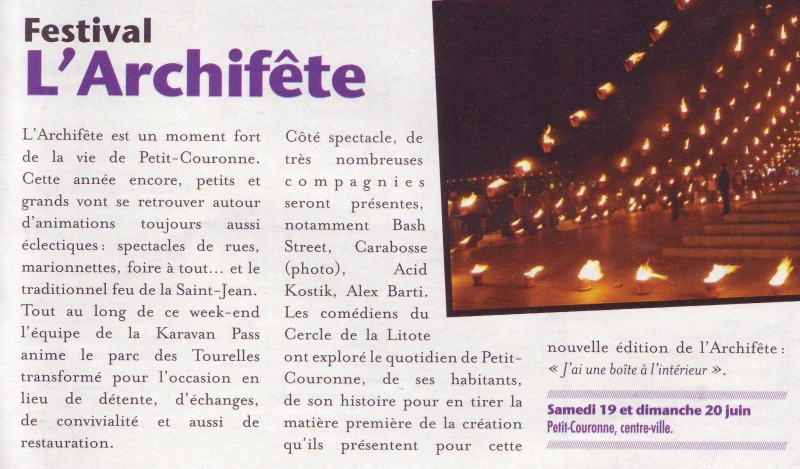 If Carabosse is famous for the Installations, the company has also created various shows, inspired by fire, machinery, various worlds and perspectives, like Le Filoscope or Chez Cocotte.